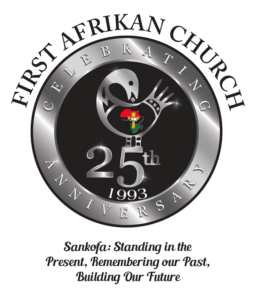 Is the educational center for First Afrikan Church. CFABS provides cultural education, spiritual teachings, publications, and experiential learning for the members of First Afrikan Church and the larger metro Atlanta community. The Center for Afrikan Biblical Studies (CFABS) cultivates and promotes communal and personal reflective learning journeys using Afrikan spiritual principles to deepen and enrich our work and service. These constructed journeys are intended to lead us into harmony and balance with the universe so that we can understand and engage in the inter-relatedness of everything. Simply put, everything and everyone is connected and affected by everything and everyone. We believe that as we re-learn and recover our living as spiritual beings, we become agents, witnesses, and evidence of our Creator’s healing and restoration.